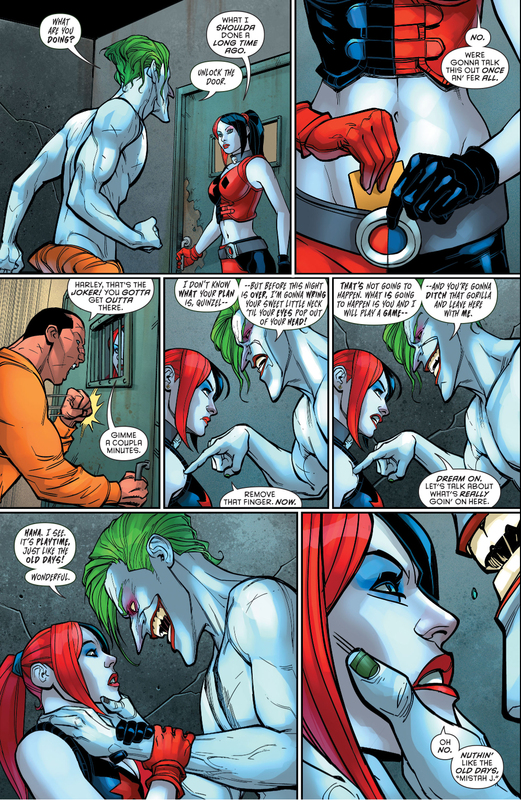 I think this is a pivotal point in Harley Quinn’s storyline. 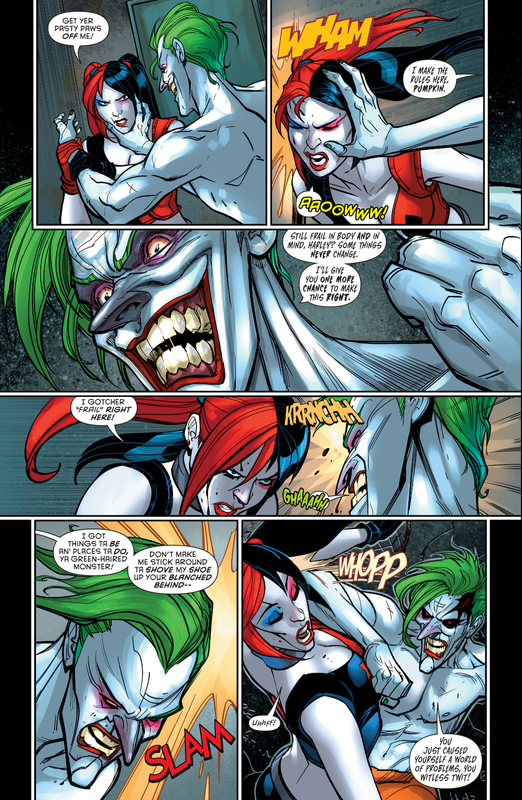 She was first introduced as the Joker’s lackey but as she gained more popularity, DC is now choosing to turn her into an anti-hero at the very least, probably so that fans wouldn’t have to feel bad about rooting for the villain. 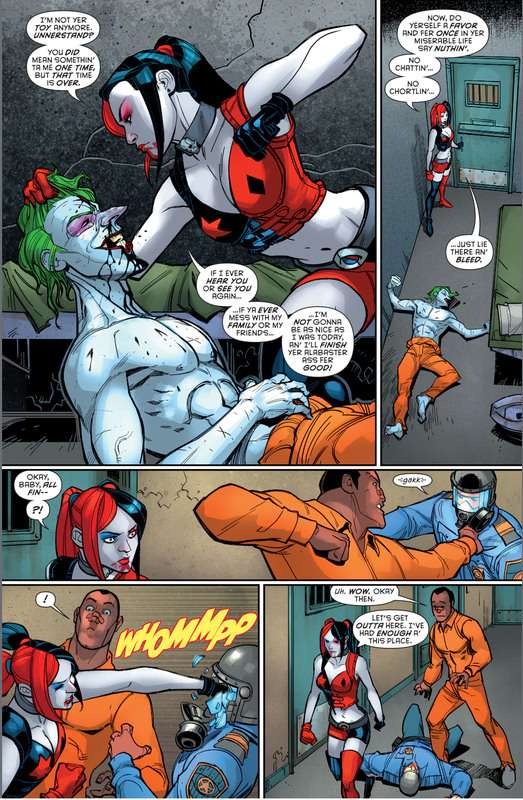 Breaking her off from the Joker and adding in some history of violence in their relationship can easily turn Harley Quinn into the poster child of not putting up with crap in a relationship, specifically an abusive one. 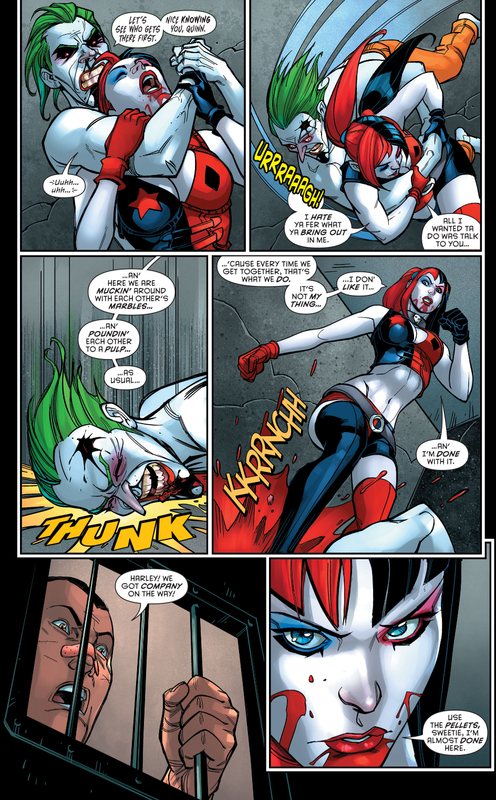 This moment right here is the turning point.